If you look for Java interview questions for 2 to 4 years experienced programmer, you will find lots of questions based upon OOP fundamentals like Inheritance and Encapsulation but as you gain more experience, you will see questions based on object-oriented analysis and design e.g. code a vending design machine or implement a coffeemaker in Java. These questions are more difficult and require not only true understanding of OOP fundamental but also about SOLID design principles and patterns. In this article, I am going to share you some OOPS concept based Java interview questions which I have collected from friends and colleagues and they have seen in various Java interviews on different companies. They are mostly asked at first few round e.g. on screening round or on the telephonic round. If you are senior Java developer then you already know answers to this question and I suggest you practice more on object-oriented analysis and design skill i.e. how to do code against a specification. If you are fresher and junior Java developer with 2 to 3 years experience then you must revise these questions, learn if you don't know to do well on your Java Job interviews. It's one of the oldest OOPS concept questions, I have seen it 10 years ago and still sees it now. When we have multiple methods with the same name but different functionality then it's called method overloading. For example. System.out.println() is overloaded as we have 6 or 7 println() method each accepting a different type of parameter. It's one of the magic of object oriented programming where the method is chose based upon an object at runtime. In order for method overriding, we need Inheritance and Polymorphism, as we need a method with the same signature in both superclass and subclass. A call to such method is resolved at runtime depending upon the actual object and not the type o variable. See the answer for more detailed discussion. When you declare two static methods with same name and signature in both superclass and subclass then they hide each other i.e. a call to the method in the subclass will call the static method declared in that class and a call to the same method is superclass is resolved to the static method declared in the super class. Java is not a pure object-oriented programming language e.g. there are many things you can do without objects e.g. static methods. Also, primitive variables are not objects in Java. See the answer for a more detailed explanation. One of the most important rules of method overloading in Java is that method signature should be different i.e. either the number of arguments or the type of arguments. Simply changing the return type of two methods will not result in overloading, instead, the compiler will throw an error. On the other hand, method overriding has more rules e.g. name and return type must be same, method signature should also be same, the overloaded method cannot throw a higher exception etc. See the answer for a full list of rules related to method overloading and overriding in Java. Yes, you can overload a static method in Java. You can declare as many static methods of the same name as you wish provided all of them have different method signatures. See the answer for more detailed explanation and code example. No, you cannot override a static method because it's not bounded to an object. Instead, static methods belong to a class and resolved at compile time using the type of reference variable. But, Yes, you can declare the same static method in a subclass, that will result in method hiding i.e. if you use reference variable of type subclass then new method will be called, but if you use reference variable of superclass than old method will be called. Yes, you can prevent the method overriding in Java without using the final modifier. In fact, there are several ways to accomplish it e.g. you can mark the method private or static, those cannot be overridden. No, you cannot. Since the private method is only accessible and visible inside the class they are declared, it's not possible to override them in subclasses. Though, you can override them inside the inner class as they are accessible there. In covariant method overriding, the overriding method can return the subclass of the object returned by original or overridden method. This concept was introduced in Java 1.5 (Tiger) version and it's very helpful in case original method is returning general type like Object class, because, then by using covariant method overriding you can return more suitable object and prevent client side type casting. One of the practical use of this concept is in when you override the clone() method in Java. Yes, you can, but only from Java 5 onward. This feature is known as covariant method overriding and it was introduced in JDK 5 release. This is immensely helpful if original method return super-class e.g. clone() method return java.lang.Object. By using this, you can directly return the actual type, preventing client-side type casting of the result. No, you cannot. The argument list is part of the method signature and both overriding and overridden method must have the same signature. Yes, there is no restriction on unchecked exception while overriding. On the other hand, in the case of checked exception, an overriding exception cannot throw a checked exception which comes higher in type hierarchy e.g. if original method is throwing IOException than overriding method cannot throw java.lang.Exception or java.lang.Throwable. You can call a superclass version of an overriding method in the subclass by using super keyword. For example to call the toString() method from java.lang.Object class you can call super.toString(). No, you cannot override a final method in Java, final keyword with the method is to prevent method overriding. You use final when you don't want subclass changing the logic of your method by overriding it due to security reason. This is why String class is final in Java. 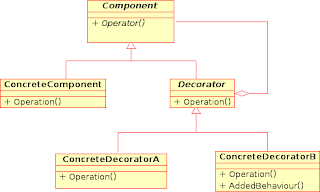 This concept is also used in template design pattern where template method is made final to prevent overriding. From Java 8 onward you can have a non-abstract method inside interface, prior to that it was not allowed as all method was implicitly public abstract. From JDK 8, you can add static and default method inside an interface. Default method, also known as extension method are new types of the method which you can add on the interface now. These method has implementation and intended to be used by default. By using this method, JDK 8 managed to provide common functionality related to lambda expression and stream API without breaking all the clients which implement their interfaces. If you look Java 8 API documentation you will find several useful default method on key Java interface like Iterator, Map etc. An abstract class is a class which is incomplete. You cannot create an instance of an abstract class in Java. They are provided to define default behavior and ensured that client of that class should adore to those contract which is defined inside the abstract class. In order to use it, you must extend and implement their abstract methods. BTW, in Java, a class can be abstract without specifying any abstract method. Like an abstract class, the interface is also there to specify the contract of an API. 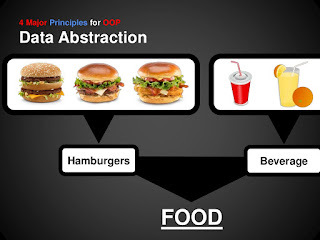 It supports OOP abstraction concept as it defines only abstract behavior. It will tell that your program will give output but how is left to implementors. The real use of the interface to define types to leverage Polymorphism. See the answer for more detailed explanation and discussion. In Java, the key difference is that abstract class can contain non-abstract method but the interface cannot, but from Java 8 onward interface can also contain static and default methods which are non-abstract. See the answer for more detailed discussion as I have described a lot of points there. Yes, just add abstract keyword on the class definition and your class will become abstract. No, you cannot apply both final and abstract keyword at the class same time because they are exactly opposite of each other. A final class in Java cannot be extended and you cannot use an abstract class without extending and make it a concrete class. As per Java specification, the compiler will throw an error if you try to make a class abstract and final at the same time. No, since main() is a static method, you can only overload it, you cannot override it because the static method is resolved at compile time without needing object information hence we cannot override the main method in Java. This is slight tricky OOP concept question because Polymorphism is the real concept behind on both Overloading and Overriding. Overloading is compiled time Polymorphism and Overriding are Runtime Polymorphism. Can an interface extend more than one interface in Java? Yes, an interface can extend more than one interface in Java, it's perfectly valid. Can a class extend more than one class in Java? 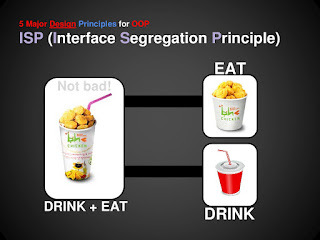 Now let's see some OOPS concept questions based on the SOLID design principles and GOF design patterns which take advantage of OOPS concept discussed here. Strategy pattern allows you to introduce new algorithm or new strategy without changing the code which uses that algorithm. For example, the Collections.sort() method which sorts the list of the object uses the Strategy pattern to compare object. Since every object uses different comparison strategy you can compare various object differently without changing sort method. Decorator pattern takes advantage of Composition to provide new features without modifying the original class. A very good to-the-point question for the telephonic round. 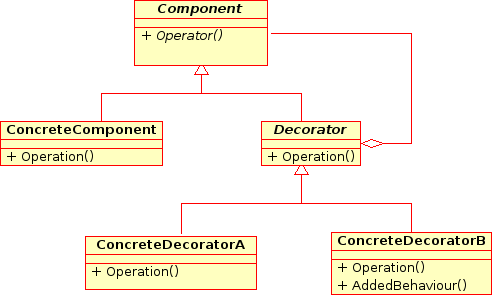 This is quite clear from UML diagram of Decorator pattern, as you can see the Component is associated with Decorator. When you need just one instance of a class and wants that to be globally available then you can use Singleton pattern. It's not free of cost though because it increases coupling between classes and makes them hard to test. This is one of the oldest design pattern questions from Java interviews. Please see the answer for more detailed discussion. Though the structure or class diagram of State and Strategy pattern is same, their intent is completely different. State pattern is used to do something specific depending upon state while Strategy allows you to switch between algorithms without changing the code which uses it. When an object is related to another object it called association. It has two forms, aggregation, and composition. the former is the loose form of association where the related object can survive individually while later is a stronger form of association where a related object cannot survive individually. For example, the city is an aggregation of people but is the composition of body parts. Again they look similar because their structure or class diagram is very similar but their intent is quite different. Decorator adds additional functionality without touching the class, Proxy provides access control and Adapter is used to make two incompatible interfaces work together. This is another great OOPS concept question because it tests what matters, both of them are very important from a class design perspective. Though both Composition and Inheritance allows you to reuse code, formerly is more flexible than later. Composition allows the class to get an additional feature at runtime, but Inheritance is static. You can not change the feature at runtime by substitution new implementation. See the answer for more detailed discussion. That's all about in this list of object oriented programming or OOPS concept interview questions. We have seen questions from various OOPS concept e.g. 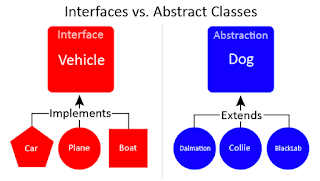 Abstraction, Encapsulation, Inheritance, Composition, Aggregation, Association, Class, Object and Interface etc. We have also seen questions from Object oriented design principles also known as SOLID principles and GOF design patterns like Strategy, State, and Factory, which are based upon both object oriented programming concept and OOP design principle. But, as I said, if you are senior Java developer then you focus more on object-oriented analysis and design and learn how to code against a requirement using all your OOP knowledge. You can also read Cracking the Coding Interview, 6th Edition to for more Object Oriented Programming questions. That would be less about Java and more about advanced programming algorithms, data structures, etc. Regarding Vending machine design, you can check How to design Vending Machine in Java. Q: Can we override a non-static method as static in Java? Thanks @Boopendara, glad that you like this OOP concepts questions. How they derived the concept of oop? no non-static methods can not be overridden as static method. "This static method cannot hide the instance method from InheritanceTest"
Yes guys, you are right, it's not possible to override an instance method as static method in Java. Thanks for pointing that out. I think, the Answer given in this website(http://www.java67.com/) is wrong. Yes Ajay, you are right, it's not possible to override a non-static method as static in Java. Thanks for pointing that out. Can we override a non-static method as static in Java? You answered it Yes. But it's not true. Both methods need to be either static or non-static. You can't remove staticness of a method in sub class. Yes, you are right, Java doesn't allow you to override a non-static or instance method as static, I'll further check and correct. Thanks for pointing that error guys. well done.